Infinity Whiplash – SUP, Windsurfing UK. 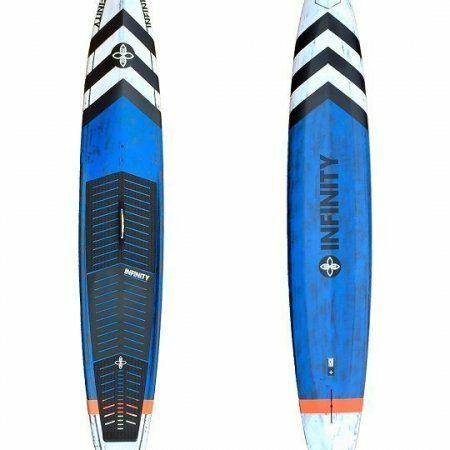 The 2018 Infinity Blackfish has had some serious focus on performance, but is eclipsed by the ease of use it delivers to the paddler. 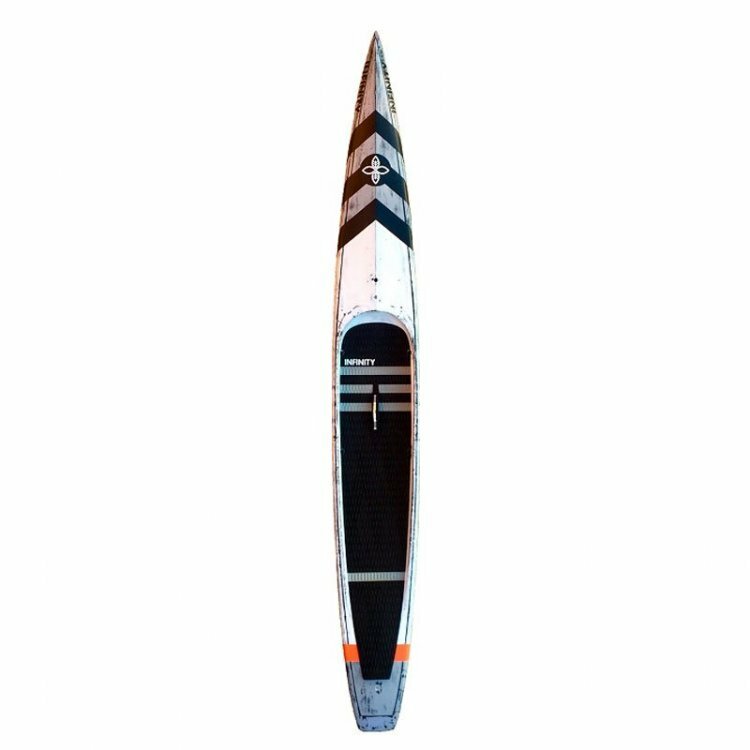 A extreme flat water race machine that has evolved to destroy everything around it. Proof was when Itzel Delgado took 1st Place in the Hossegor 200M Sprint challenge over the former world record holder on the Whiplash. It showed the Whiplash doing what it was designed to do and nothing less. 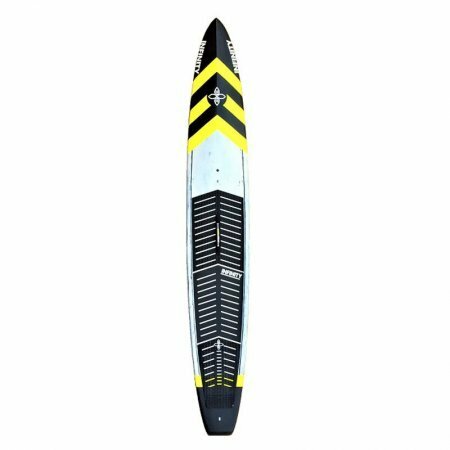 The evolution of this board has seen many tweaks including the hybrid pin tail design that has been proved to give more glide per stroke and amazing stability in the narrower widths. 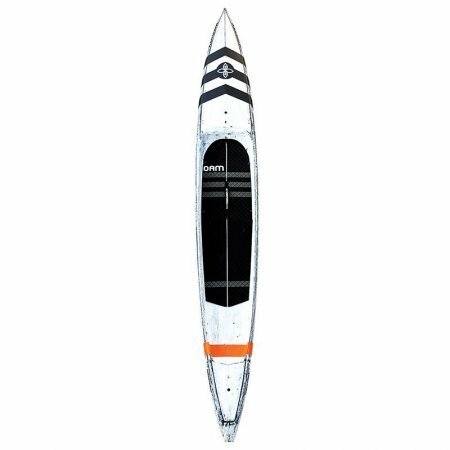 It’s more than capable of being competitive in small chop and surf, but we’d recommend the Infinity Blackfish which is more suited to that world. This board works very well up wind, good in side wind, and stable enough to ride/surf small bumps off the tail. And let’s not forget the biggest change for 2019 which has seen the dugout area gain an extra 1.5″ extra width which increases comfort and stability. For anyone who’s ridden a Starboard Sprint you’re gonna love the Whiplash 2019. But that’s not what we’re about as we’re gonna give you our own ideas and feelings to this evolved board. First thing to realise with boards of this type is they’re designed to do a serious job – go fast and win. The Whiplash 23 that we’ve been riding is exactly that and it delivers amazing speed and glide. The 2019 version over the 2018 has improved stability and this is coming from that new tail design and wider stance area. This is so important in a board of this type as the benefits can soon be lost if you find you’re putting too much effort into balancing. Trimming the board varies depending on the water state and you’ll find that engaging the bow can improve directional control, except when there’s loads of cross chop so you gotta be nimble to get control of this board. The build quality is the same as with all Infinity boards. A complex layup of carbon that has been tested again and again to gain the maximum control of the boards flexibility and weight. Add to that the great looks of the brushed carbon and you can see and feel the quality with the fittings, deckpad and handle. The boards design is a mind meld of ideas that have been tested again and again. A huge redesign went into the tail area to improve stability and it has paid off. Being a bigger guy I really noticed it on the 23 wide model as we played can racing and had to make regular step back turns.